Mash'ems is a highly collectable toy that all kids will love. Mash'em allows kids to play with their favorite characters in a whole different way. They will be able to Mash'em, Twist'em, squish'em, and Stretch'em. 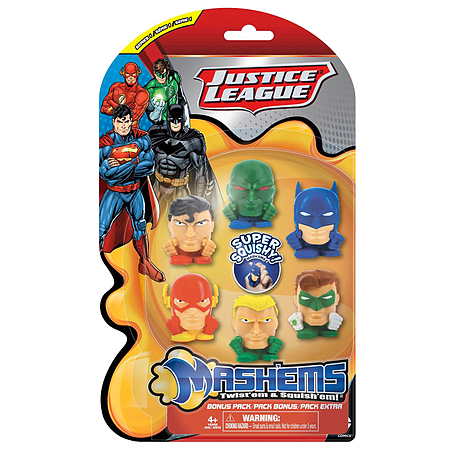 Justice League Mashems Series 1 Value Pack Toy Figure Set of 6. Brand new in factory sealed blister packaging. For ages 5 and up. Set includes all 6 Justice League characters shown in the package.